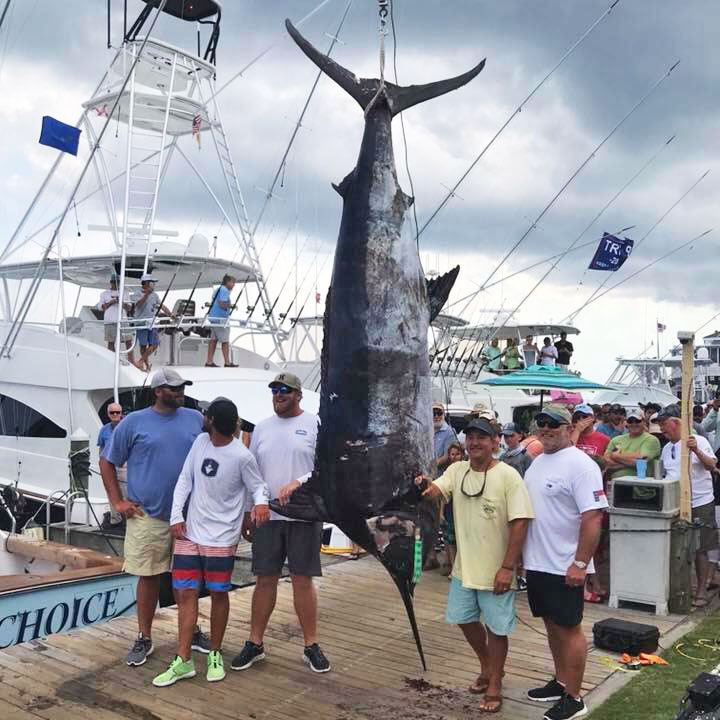 The Jarrett Bay 64, Builder’s Choice weighed an incredible 911.1 lb blue marlin on Day 1 of the Pirate’s Cove Billfish Tournament which made them impossible to unseat from 1st Place. 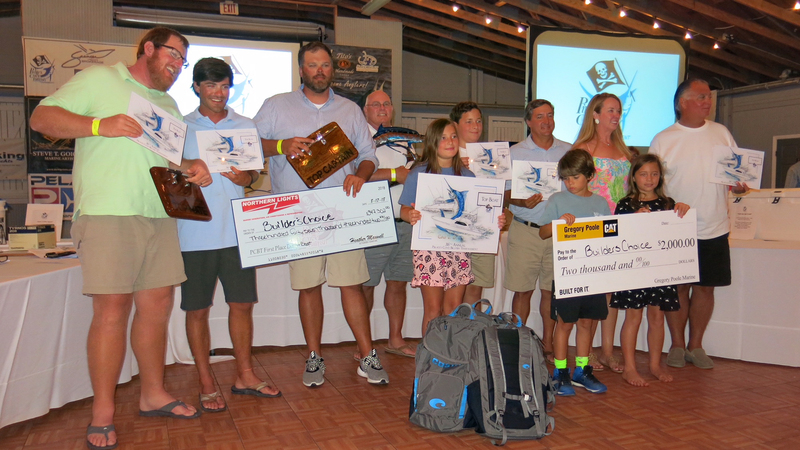 Winning first place fish and first place overall in points for the tournament landed them a handful of trophies and a big check worth over $347,000! It’s hard to put into words how much the Builder’s Choice win in Pirate’s Cove this week means to us at Jarrett Bay. The Huddle family has been an integral part of our history and success, and Jack & Harris chased that winning fish for a long time! To Harris & Jack Huddle, Capt. Brent Gaskill, Alan Scibal, Anthony Floars — and with Jack Huddle and Joy & Manley Gaskill looking down on it all — Congratulations dear friends, we are so proud!